Technique Sharing Workshops (TSW for short) are free, and take place at our guild meetings, beginning after the lunch break and lasting between 30 min. and 2 hours, depending on the topic. These workshops, led or taught by our own members on a volunteer basis, give our members a chance to share, learn and practice various special techniques related to quilting. Please sign up for these demonstrations in advance, so that we may be sure to have the correct number of handouts, and plan for an appropriate space. The Home Page Calendar includes the 2019 Technique Sharing Workshops. Previous TSW handouts are available on the Blog under the "TSW" , "Patterns" and "Mystery Quilt" categories. If you have a technique you'd like to share, please let me know! I will have a sign-up sheet with the tentative dates schedule for TSW's in the of the back room. Download the instructions for a quilck Holiday Napkins and Tablerunner set. How often have we experienced or heard stories like this: ‘My grandmother made this Double Wedding Ring quilt for the marriage of one of my aunts. I’m not sure which aunt but she was married during World War II, I think. Barbara Cortelyou will demonstrate her quick way to do placemats. Remember we have a goal of 400 placements for our seniors by our November meeting! 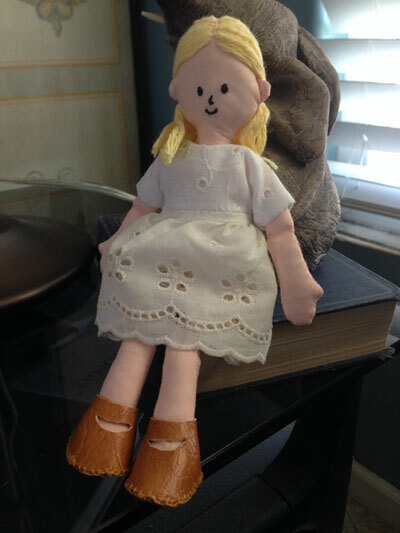 Jackie Pitts will demonstrate how to make her fabric dolls. Patterns for the 8” doll and dress will be available to you. Yes, I know ~~ those of you who have not yet discovered the worth of those ancient textured fabric circles are rolling your eyes. But just you wait! When you see how adorable they are as the beards on the Santa wall hangings that Betty Upchurch will be teaching you might just wish you knew the secrets of creating yo-yos. 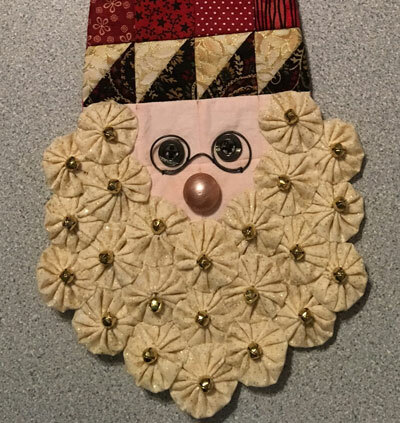 Betty will be teaching the Santa wall hanging class at the special Sew Day on Friday, September 20, 2019. Sign up to purchase the kit she will making up (but the kit does NOT include the yo-yos for the beard!). I have volunteered to once again present a TSW (Technique Sharing Workshop) on Yo-yo making after lunch, after our speaker meeting, on Thursday, May 16, 2019. You do not have to bring a thing if you wish to just observe, but if you would like to try making a yo-yo you will want to bring along a hand-sewing needle, thread, scissors, and scraps of fabric. 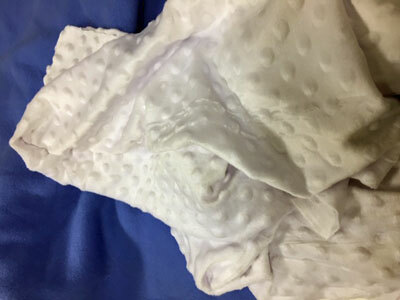 (Hint: it takes twice the circumference of the yo-yo, so if you are making a one-inch finished yo-yo, your circle fabric will need to be cut a generous two-inches.) If you have any yo-yo makers, bring them along. I will have a few for you to experiment with. Any size yo-yo maker can be used during the TSW so that you get the idea, but the one you will want for Betty’s Santa is the Clover brand, green, small yo-yo maker. I will have three of that size at the TSW and will loan them out to TSW participants to take home to make their Santa’s beards. I will treat the three yo-yo makers like library books: put your name on the reserve list, check them out, and they must be returned at the following meeting for others to use. If you wish to own your own yo-yo makers, they can be purchased at such shops JoAnn and Beverly’s. They are not horribly expensive, but check to see if your coupons apply! Betty tells me that it takes 23 – one-inch white (or off-white) yo-yos for Santa’s beard. As you will see, they are not difficult to make once you get the hang of it, but they are time-consuming. They are a perfect project to work on while listening to the news. If you have your yo-yos all made by Betty’s class you will be on your way to hanging your project the day after Thanksgiving. Santa’s beards are not the only use for yo-yos. 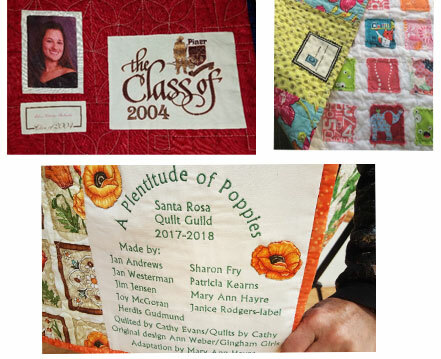 If you search our SRQG’s website’s Show-and-Tell Archives you will see that I have been challenged to include them in many of my quilts, wall hangings, and wearables. 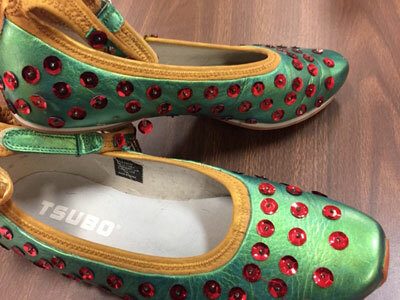 They add texture, as well as being a conversation starter for many who remember them from their childhood. Join Carol as she demonstrates her way of makeing fussy facing, borders and bindings.